With a homebase at THE WYE in Berlin, CYLAND joins a lively Berlin / Tokyo sister-city anniversary of tearing down of the wall is reason to join in celebration. Marking the history of these two thriving capitols and ushering in a limitless future – the Berlin Days Tokyo event was created. Organizers MoreTrax (the power team behind the previous Berlin/Tokyo AFTER 25) have selected pillars of the Berlin Art & Tech community to each curate an exposition showcasing their community’s diverse talent. 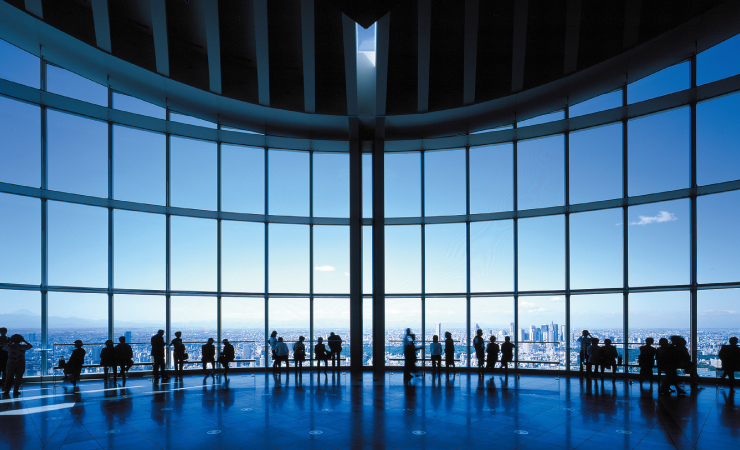 Curated by THE WYE, the art exhibition for BERLIN DAYS TOKYO will fill Sky Gallery 2 atop of Roppongi Hill Tokyo – one of world’s largest buildings. Art from CYLAND (Anna Frants, Ivan Govorkov, Daniil Frants), Ryan Wolfe, Nathan Peter, Yoram Roth will look out from the viewing deck across skyscrapers to Mt Fuji. Joined by DMY (curating design), WUT Berlin (curating Fashion) and leaders of the music and tech startup scene – BERLIN DAYS TOKYO includes two days of programming featuring some of the top success stories, international projects, and global players born out of the Berlin community. Presented within political and business oriented contexts, the aim is to illustrate how actively supported art and sub-culture can lead to important economic, cultural, and social growth within a large organization, corporation or city. 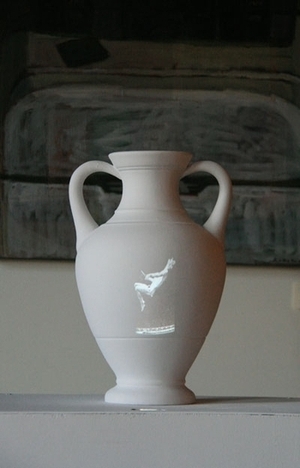 The MADE IN ANCIENY GREECE Series plays with vessels as subject matter, acknowledging and finding personality in plaster bodies. Just as distinguishing characteristics of a vessel are attributed to and provide insight into the people who made that style vase to meet their purpose – Frants’ vessels are a marriage of a traditional medium with moving image history. Based on Muybridge’s iconic photographs “Human Figures in Motion” taken about a century ago – Frants’ ”Jumping Jacks” juxtaposes the conceptual/visual idea that everything old gives means to what is new. International new media artist Anna Frants’ installations are poignantly direct. As her Russian predecessors conceptually redefined space in paint, Frants uses video and audio to make contemporary statements. As founder of CYLAND, Anna balances time between St Petersburg, Berlin and New York City between exhibiting beyond her home bases. Not a sketch, painted canvas, nor a performance – CYLAND artist Ivan Govorkov’s “Patterns of the Mind” is a hybrid between graphics, easel painting and action in the spirit of Abstract Expressionism or Late Surrealism. Drawn by the artist live in the exhibition space, viewers experience the composition alongside the artist as it comes from hand in 2D and is translated into 3D by accomplished technology teen wonder – CYLAND artist Daniil Frants. As part of CYLAND’s main creative talent – Ivan Govorkov is active in CYBERFEST’s Berlin and St Petersburg based programming. His work is included in collections of The State Russian Museum, The Hermitage Museum, Museum of the History in Saint Petersburg, Museum of History in Ekaterinburg. Historical and Art museum in Astrahan, Historical and Art Museum in Pskov, Historical and Art museum in Arhangelsk, Historical and Art Museum in Gatchina, Kolodzei’s Collection, Chudnovski’s Collection, Goznes’ Collection among others. 16 year old Daniil Frants has lead workshops on creative uses of Technology before he was a teenager. 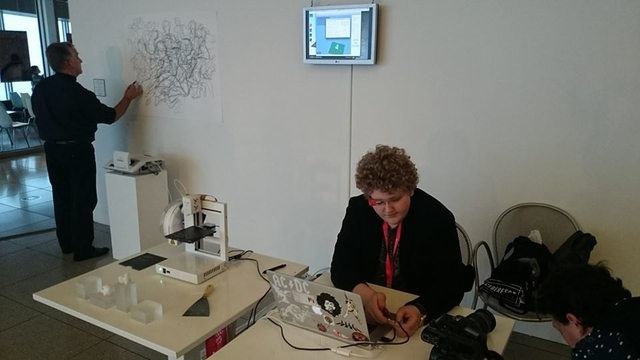 The youngest intern at MIT media lab, Frants has organized and led groups of children to explore the basics of robots and programming at high profile institutions including The Computerspeile Museum in Berlin, The Hermitage Museum/ Russia and Kyoseinosato Museum/ Japan and Gogolfest/Ukraine. * Along with the exhibition a cross-generational and cross-cultural dialog will be presented on November 29 with Mr. Fumio Nanjo, Director of Mori Art Museum who is considered as a leader of Japanese art world, and our very own Daniil Frants, genius young programmer who has been active through countries such as the U.S., Russia and Germany. Through the very special encounter of the two from quite different age groups, backgrounds and environments where they grew up, they are wondering “In what color will the ‘arts’ shine?“ It will be no doubt a great occasion to witness the exciting art critiques beyond the generations and cultures. Branching Systems explores Edward Lorenz’s “butterfly effect”, the concept that signaled the beginnings of modern Chaos Theory. In this interactive installation, masses of robotic leaves flutter like butterflies to transform space into a network of complex, serendipitous movement. 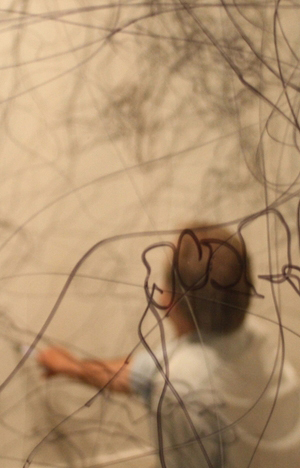 Viewers’ physical actions are catalysts that trigger a ripple across the piece’s custom-made network causing faster movements and different rhythms in the artwork. The artwork tangibly re-imagines the infinitely complex process of cause and effect (or input and output) compressed into a single moment; demonstrating how small variations in the initial condition of a nonlinear dynamic system may produce large variations in the long term behavior of that system. Working in San Francisco and with The WYE in Berlin, Ryan Wolfe uses technology to design interactive systems reminiscent of – yet completely separate from – the natural systems upon which they are based. The WRAP Project was a fun afternoon creating an hommage Christo & Jean-Claude. In the late Sixties and Seventies, Christo sketched a number of women wrapped and presented as highly organic shapes within the context of very modern structures and backgrounds. This is a photographic realization of that concept. Yoram Roth is a fine art photographer living and working in his hometown, Berlin Germany. Roth creates fine art images as well as photo book projects. His work uses the language and tools of commercial and fashion photography to play with story elements, and to engage the viewer in images that require a level of personal interpretation. His work requires that sets are built, props are created, clothing is either made or pulled from various sources. The artist creates sketches and storyboards prior to image creation. Roth’s work is narrative, and relies on substantial pre-production. These are not spontaneous snapshots, the images are planned and executed through a deliberate process. The results – large fine art prints as well as meticulous photo stories – are laden with details. Roth is represented by Camera Works (Berlin). A successive adjustment of the medium is what distinguishes the work of Nathan Peter. Peter investigates the self-conception as a painter and critically analyses his own manifold influences in relation to their contemporary status and historical references. Contrary to classical paintings, Peter works with the process of reduction: By repeated application and abrasion of various colors and materials, he creates painterly surfaces and coloration while often bringing the canvas to the point of actual destruction. An internationally recognized artist, Peters lives and works in Berlin. He is represented by PSM Gallery (Berlin).